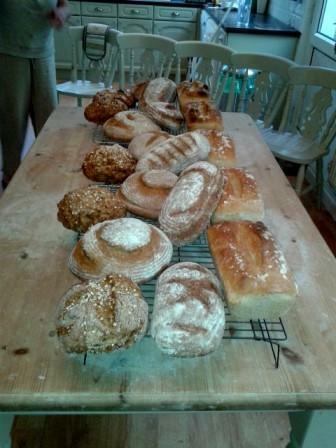 Today, I have been on a breadmaking course at the One Mile Bakery in Cardiff. I was one of a small friendly group eager to have a go at making bread the traditional way, instead of my usual way of throwing all the ingredients in the breadmaker. We made four different kinds of bread. 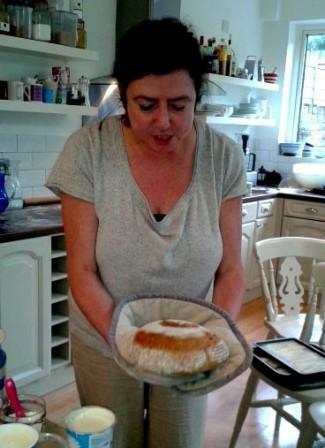 In this photo our tutor has just taken my attempt at artisan bread out of the oven. 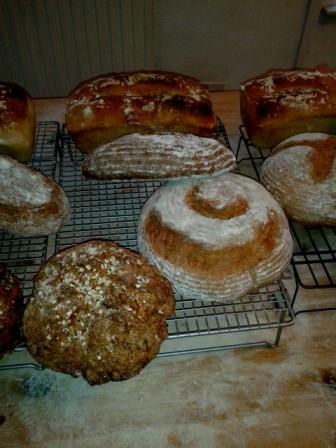 We also made wholemeal bread, a white loaf and soda bread. These are my finished loaves. And these are the combined efforts of the group. Can’t wait to try them all out!